Joining our firm in September of 2017, Anabel is one of our newer employees. She came to us hungry, humble, and eager to learn anything and everything she can to become an asset to our family. Applying for a part-time job and walking out with a full time position, Anabel is a go-getter and a team player. She has worked her way up from reception and is now part of our Intake Department. Born and raised in California, Anabel graduated from Wasco High School in 2007 and has been living in Las Vegas since 2011. 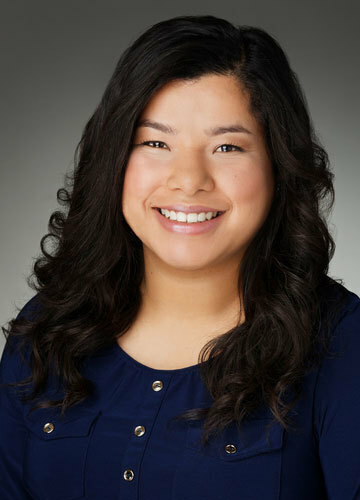 Anabel first began working in the legal field in 2016, and although new to it, she's enjoyed working with and for attorneys ever since. The experience and skills Anabel has been able to obtain, in just a short amount of time, has sparked a desire to pursue a degree in the legal field for herself. She would like to begin her college education soon and aspires to become an attorney one day. Anabel enjoys spending time with her sisters, nieces, and nephews, and basks in the glory of being the cool aunt. She takes pleasure in outdoor activities and is always up for trying and experiencing new things in life.